Boarding horses on your hobby farm is a great way to generate extra income, but it's not for everyone. To be a successful boarding stable owner, you must love horses and have experience working with them— or at least be willing to learn and gain experience. Horse owners are different from other animal owners, as they tend to be more demanding. A horse owner is entrusting you with their horse and expects you to provide the same level of care that they would. A boarding stable owner must be friendly and interact well with others, as well as have the time and financial resources to put into the endeavor. There are different types of boarding arrangements, so you need to determine which type you'll offer your customers. Full Service Boarding: Also also referred to as one fee covers all, you provide all feeding, stall cleaning, and, if you choose, minor care like parasite control and hoof care. Partial Boarding: You provide stall space and pasture, while the horse owner provides feed, bedding. and stall cleaning. Pasture Boarding: You provide pasture and a run-in shed. Other services, such as feeding and stall cleaning, will be negotiated with the owner and spelled out in the boarding contract. Before you can start a horse boarding operation, you need to consider the zoning codes and state laws you must comply with, as well as the required business permits. In some localities, you can only board a certain number of horses per acre. Consult your horse lawyer to make sure you are able to board horses and that you are in compliance with applicable laws and requirements. Your homeowner's insurance policy will not cover business activities like your horse boarding operation. In order to board horses on your hobby farm, you will need Commercial Equine Liability Insurance and Care, Custody and Control Insurance. Equine law can be complex and difficult to understand. To ensure you are protected, have your equine lawyer help you create a strong boarding contract. Your contact should clearly define the stable owner's and client's responsibilities and what your fees cover, as well as include a liability release. A well-written contract will protect you in the event that a client tries to sue or doesn't fulfill their obligations. At Catanese and Wells, our equine attorneys specialize in breeding contracts. To ensure your contract clearly spells out the terms of your service and liability, contact our horse lawyers today: (818) 707-0407. 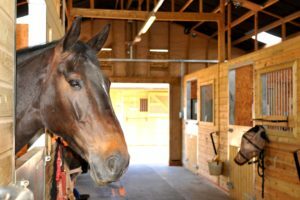 Do Individual Horse Owners Need Liability Insurance?